Christa Watson's newest collection, Abstract Garden, is here--just in time to whet your appetite for spring planting! Christa wanted to design a modern floral collection and came up with these brightly colored geometric prints that have an abstract garden feel (hence the name!). Keep reading to learn more about the prints. 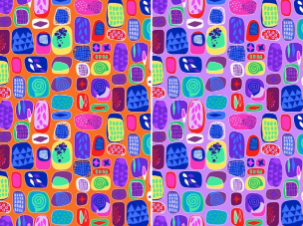 What inspired your new Abstract Garden collection? My first couple lines were very geometric—no flowers, no leaves. I had this idea that I wanted to do a modern floral collection. As I explored the concept, it just wasn’t coming together, so I backed up and started to play with the elements I’d come up with. These prints are really geometric, but they still have the feel of a garden—it’s just very abstract! Not only can I not draw flowers, but I don’t garden well either. I live in Las Vegas where we have two seasons—hot and not as hot. Gardening here requires a lot of effort, and a lot of water. I’ll garden on fabric instead. It doesn’t need water! This is the print closest to actual florals, and it’s my favorite. It totally looks like a rose if you look at it in the right way. 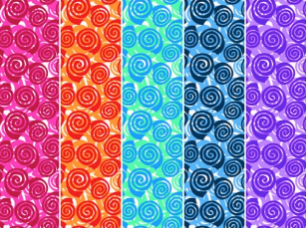 Swirls are one of my favorite quilting designs. This is another print that I’m in love with. I actually designed this for Modern Marks, but it didn’t fit. I tried again with Fandangle, and it didn’t work. But it works here! I’ve learned that you always hold onto what you have—you never know where it can work in. This reminds me of picket fences, but more modern and fun. 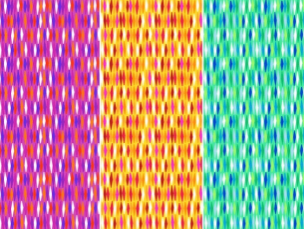 This is also loosely based on a machine quilting design—wavy plaid quilting. It’s a little more abstract, but it started with that wavy plaid design. It also looks like a lattice or trellis. 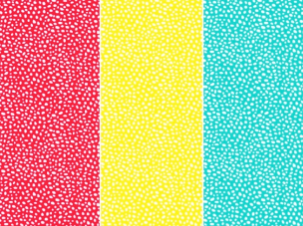 These are basically polka dots, but not. They’re splotchy, elongated and irregular—like seeds. If you look closely, these are a nod to Modern Marks because they look almost like the quirky triangles from Modern Marks. I’ve learned that the main print always comes at the end for me. It’s basically a mishmash of all the other designs in one print. This evokes plots of land with interesting little designs from the coordinating prints. In my mind, it pulls it all together—the shapes, colors and textures. The hardest thing is always narrowing down the colors. I’m enjoying the rainbow right now and bright colors. Adding purple into this collection was important to me. I look at all my collections as going together—I didn’t have much yellow in previous collections, and I had a lot of green, so what I needed was more purple, blue, and then light green. I print out all the designs in all the colors and then sit on my living room floor with those paper swatches. I pick and choose and play until it feels like I have the right balance. Stop by each day this week for our blog hop featuring Abstract Garden inspiration! Click here to see the Abstract Garden collection. Beautiful fabrics! I love bright colors! Very different from my usual taste, but so very intriguing! 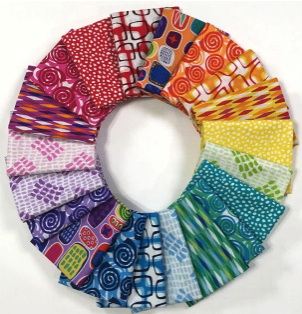 Great for modern quilting with lots of bright color. Pretty! Raised beds is my favorite at the moment, subject to change. I love this collection! The colors and the story of the collection are right up my alley. I'm already dreaming up what I want to make. Truly, it is exceptional! I truly love this line. Actually I love all of Christa's fabric. Love the rainbow of brilliant colors! I enjoyed reading about the development of this collection. Abstract Gardens is an interesting fabric. All of the fabrics are great! 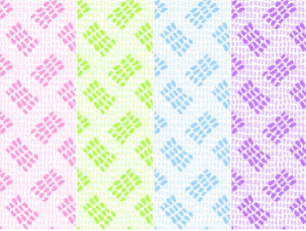 These fabrics are vibrant. I'm new to such colors. Stepping out of my comfort zone. Thinking I should get these. Love the designs! 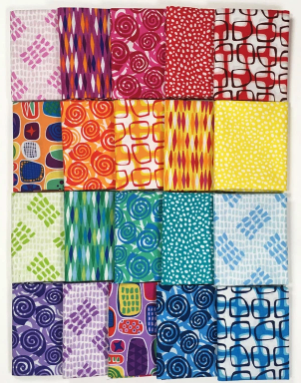 Lately I've been drawn to more contemporary fabric - love the colors and flow of the designs. I've always enjoyed your colors - good pick. Love this happy and bright collection, Christa! A winning garden of colors. Congratulations. Gorgeous fabric line and love to make a quilt with them. 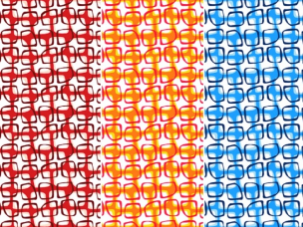 Love this bright abstract line of fabric. Beautiful fabrics. Thank for a chance to get some. 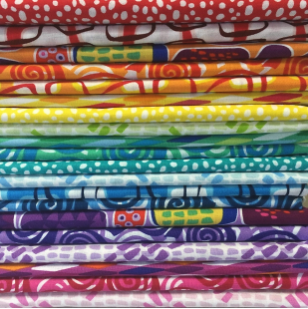 These are really bright fun fabrics, so many possibilities, love the rainbow!